This article first appeared in 1991 in a booklet produced as part of the 150th anniversary celebrations of the church. The present day Fletcher Memorial Centre [shown right] – the former Wesleyan School at the rear is now a thriving community centre. Both church and community in the Madeley area saw immense changes with the development of the new town from the mid-late 1960’s. In 1970 the Rev. Tony Kinch became the minister. The Madeley & Dawley Methodist Circuit combined with Oakengates & Shifnal to become the Telford South Circuit, with Rev. Norman Owen as superintendent minister. The day school (Madeley Wesleyan School) in the premises to the rear of the church, where many church members had been taught, was closed in 1967 and moved to Upper Road, becoming the John Fletcher Junior School. In 1974-75 these rather basic church hall rooms were totally refurbished and linked to the church by newly built and equipped offices, toilets and kitchen. A vestibule was made by removing some pews at the back of the church. This development, together with the building of other Methodist churches in Telford, was financed by the sale of a number of Methodist churches in Telford to the Telford Development Corporation. Fletcher Memorial Centre was designed by architect Roy Morgan, painted by church members, and opened by Lord Boyne in 1975. It was a new and improved Church Centre which permitted the expansion of church activities as well as the church’s work in the community. This has continued ever since, with income from rents charged to local user groups paying for the Centre’s upkeep. The Fletcher-run coffee bar has been a particular long-running success. The monthly family worship service saw as many as six baptisms take place within the morning service. The Sunday School had moved from the afternoon to the morning in the early 70’s, with the children taking part in the first ten minutes of the service before going into Sunday School. 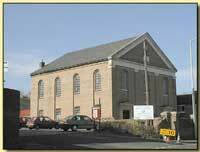 In 1977 Madeley High Street Methodist Church (formerly a Primitive Methodist chapel) closed and some members moved to Fletcher and elsewhere, with Colin Coop from High Street becoming a Fletcher Church Steward. A Stewardship Campaign was held in 1979, during which time all on the Fletcher membership list (some 90 people) and some others were visited by a number of Fletcher Church members. People were encouraged to offer their time, talents and money for church work. The campaign culminated in a Stewardship Meal when 70 attended. It resulted in a small increase in worship attendance and significant increase in regular giving. A year later a follow-up meeting, also in the form of a church family meal, took place. Rev. Tony Kinch left in 1981 after 11 years as minister. Due to a connexional shortage of ministers he was not directly replaced and the Circuit continued with four instead of five ministers, Rev. Norman Owen then took pastoral care of Fletcher, continuing to 1992. The United Reform Church in Park Avenue closed in 1984. George Scoltock from there became a Church Steward at Fletcher and many others from the URC also made Fletcher their place of worship. The organ too came to Fletcher to supplement the existing one (the latter being in need of repair). A live TV service was broadcast from Fletcher on Sunday morning 13th January 1985. Rev. Norman Owen presided and the Rev. Sandra Howes preached. Christians from the locality and throughout the Telford South Circuit attended a packed service. A video of the service was obtained by the church. 1985 marked the bi-centenary of John Fletcher’s death. People came from many places to see his grave in Madeley Parish churchyard and to take part in other events held during that year. Links with the other Madeley churches have gradually increased over the years, particularly with the joint Lent groups. A South Telford Association of Churches (STAC) was formed to organise joint events. A quarter century of rapid new town development which so changed the church and locality comes to an end in Fletcher’s sesquicentennial anniversary in 1991. The church has had to struggle through the substantial changes of those years. It has gained structurally with improved premises. It has gained financially by having a minister, who, but for the Methodist Home Mission grants for new town work and witness over a decade, might not have been there at all. It has gained in standing with local people through the community work. It has maintaned its worshipping community. Perhaps the task for the 90s is to develop the Christian links between church and community from the latent partnership into a real and effective commitment. 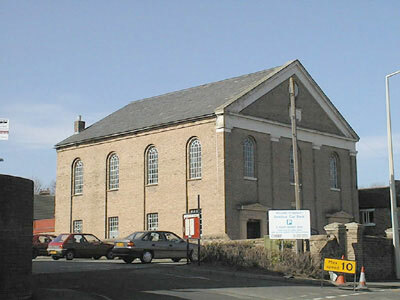 The present day Fletcher Church has a thriving congregation, and is the base for a popular pre-school playgroup, as well as being used for many community events and activities.